Winners of Divisional Round of Bangladesh Philosophy Olympiad 2019 who will participate in the National Round to be held on 18th February, Monday 2019 at 10 am at Edward M Kennedy- EMK Center, Dhanmondi 27, Dhaka Bangladesh. Bangladesh Philosophy Olympiad takes place every year in the month of January and February. 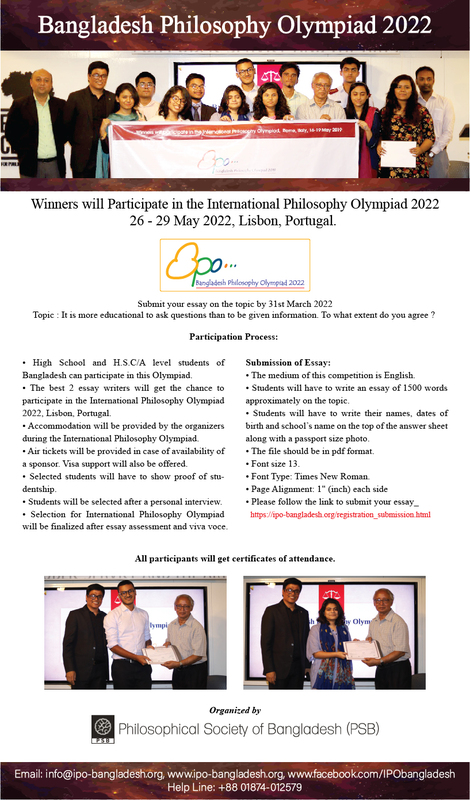 Winners from this Olympiad is taking part International Philosophy Olympiad. International Philosophy Olympiad organized by the direct patronization of UNESCO and International Federation of Philosophical Societies (FISP). FISP is the highest non-governmental world organization for philosophy. It was established in 1948. Its main objectives are to contribute directly to the development of professional relations among the philosophers of all countries freely and with mutual respect; dedicated to philosophy, to collect documentation useful for the development of philosophical studies. I. IPO: May 1993 – Smolyan, Bulgaria. II. IPO: May 1994 – Petric, Bulgaria. III. IPO: May 1995 – Stara Zagora, Bulgaria. During the III. IPO, the “International Organizing Committee for IPO” was created with the adoption of a Letter of Intent. Its secretariat is located at Soﬁa University (prof. Ivan Kolev). At a meeting of experts of philosophy education held at the UNESCO Headquarters in Paris in February 1995 in connection with UNESCO’s project on “Philosophy and Democracy in the World,” it was decided to promote the organization of national and international competitions along the lines of the philosophy olympiads with the aim of “encouraging the practice of philosophical, critical thinking and stimulating, through competition, the interest of young people in philosophy”. From 1996 to 2015 following countries have hosted the International Philosophy Olimpiad- Turkey, Poland, Romania, Hungary, Germany, USA, Japan, Argentina, South Korea, Poland, Italy, Romania, Finland, Greece, Austria, Norway, Estonia. 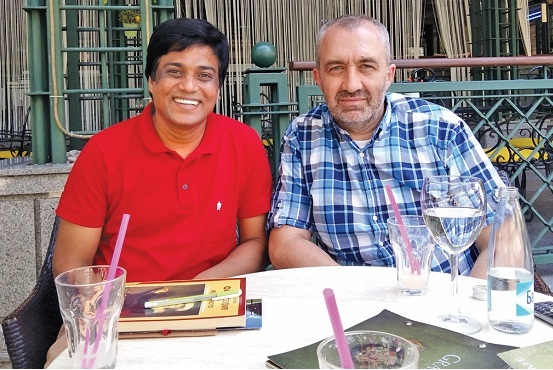 The founder of Bangladesh Philosophy Olympiad Mohammad Salim Miah with one of the founders of International Philosophy Olympiad professor ”Ivan Kolev’’ of University of Sofia, Bulgaria at Sofia Bulgaria. The Photo was taken in the year 2015. 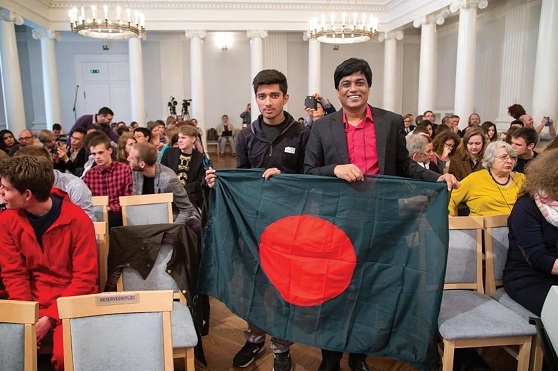 Bangladesh has successfully participated for the ﬁrst time in the 23rd International Philosophy Olympiad 2015 with two students and a teachers, held at Tartu University, Estonia from 14-18 May 2015. Bangladesh team was sponsored by Heritage School, Bangladesh situated at Narayanganj District of Dhaka Division. Photo: Bangladesh participation at 23rd Philosophy Olympiad 2015 Tartu University, Estonia.